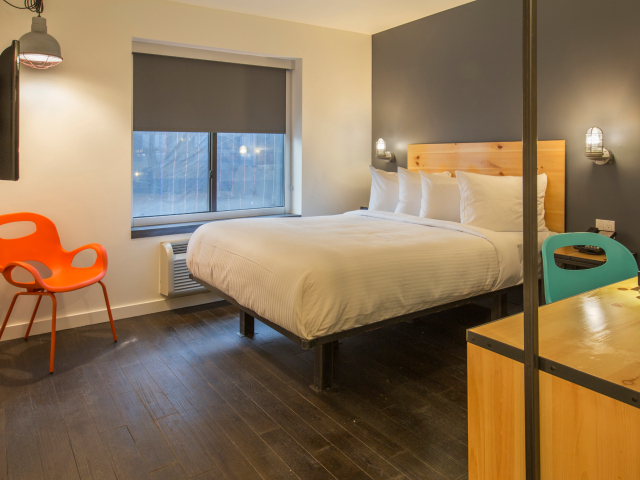 Our Brooklyn hotel is Inspired by the diverse and creative neighborhood of Bushwick, home to artists, locals, and tastemakers alike. 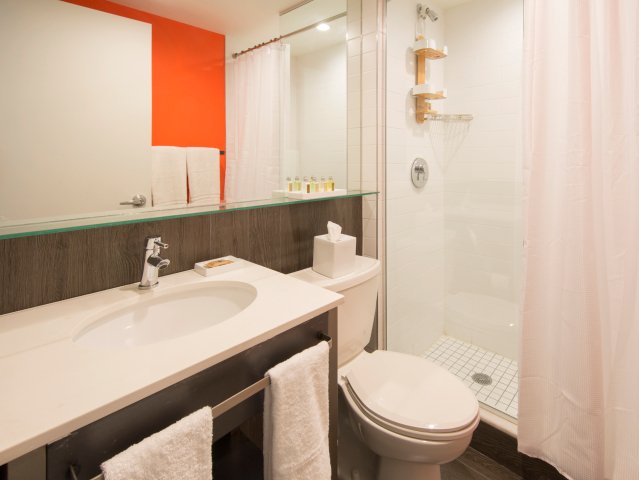 BKLYN House stands as the area's sole boutique hotel destination and is the perfect spot for visiting friends, catching a concert, or touring through local art galleries. 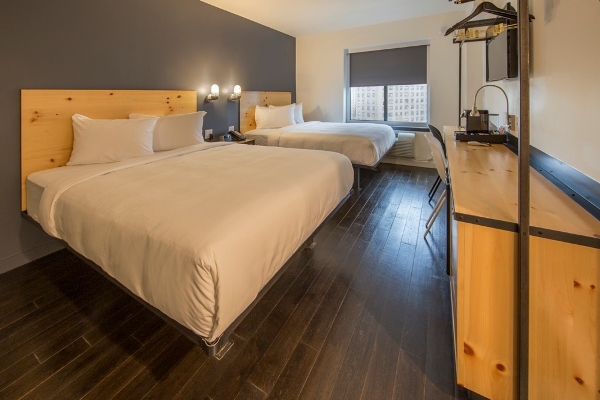 Access downtown Manhattan, DUMBO, and Williamsburg with ease from our Brooklyn hotel. 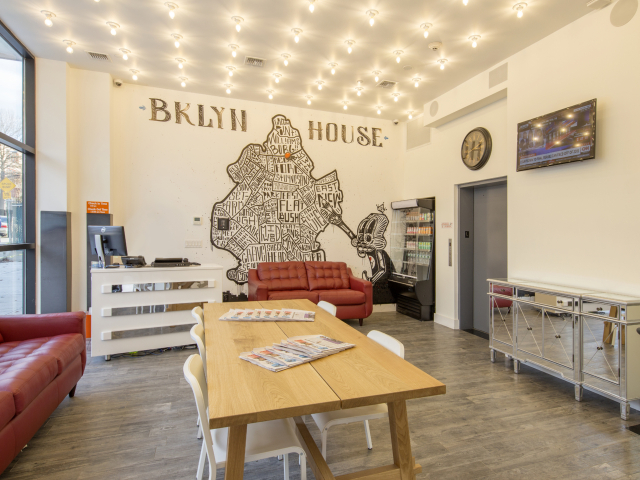 BKLYN House has all the necessities for a comfy trip like free Wifi, free daily breakfast, day passes to local gyms, and a great location just minutes away from Manhattan. 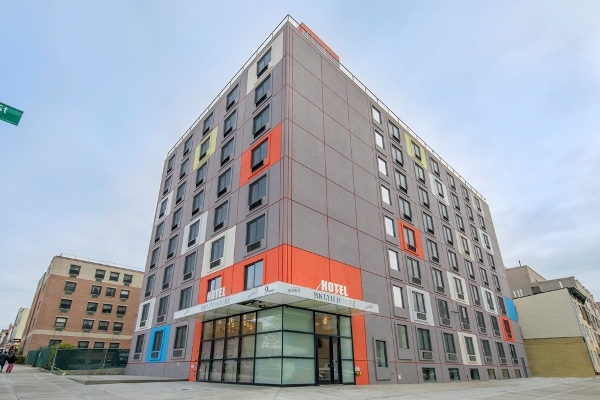 Thoughtfully situated at the crossroads Bushwick, Bed-Stuy, & Williamsburg stands BKLYN House. Explore local art, a burgeoning music scene, and inventive dining options right from our door. Access the NYC subway to Manhattan just two blocks away or jump in an Uber for a short ride to Barclays Center and all major airports.